It’s a matter of delight and pride that the Ceramic and Glass discipline at NID completes its 50 years of training, design education and service in 2018. It has been one of the initial disciplines at NID under the umbrella of Industrial Design, with academic activities initiated during the early years in 1968, to offer PG Diploma in Ceramics. The first 30 or more years were focused on the activities towards the ceramic sector while it was renamed with the addition of glass in 2003 as Ceramic and Glass Discipline. 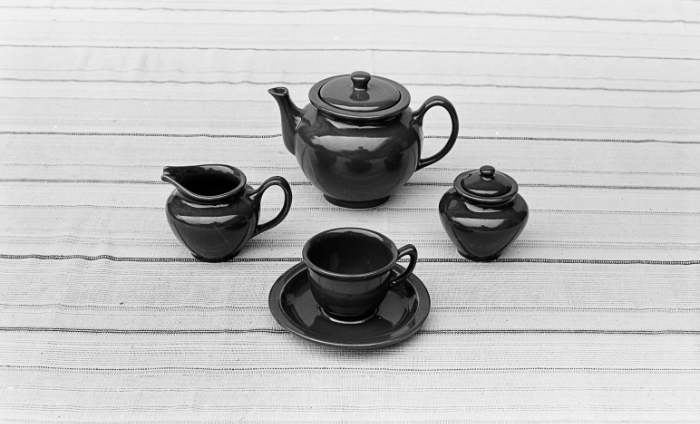 The Ceramic design curriculum evolved over a period of time and also has its roots in the Bauhaus philosophy; the German school of design which highly influenced the method and approach of NID. This is well evident in the exhibit. In the initial years, the curriculum in line with India's nation building agenda leaned towards the industrial sector while in later years it began to work closely with the craft sector as well. This gave rise to the semi-production system which has greatly benefited the makers and the buyers. This exhibition will take the viewers through 50 years of the journey undertaken by the department at NID since its inception in 1968; exploring the various internal and external forces which shaped the physical infrastructure and the educational ethos of the department. 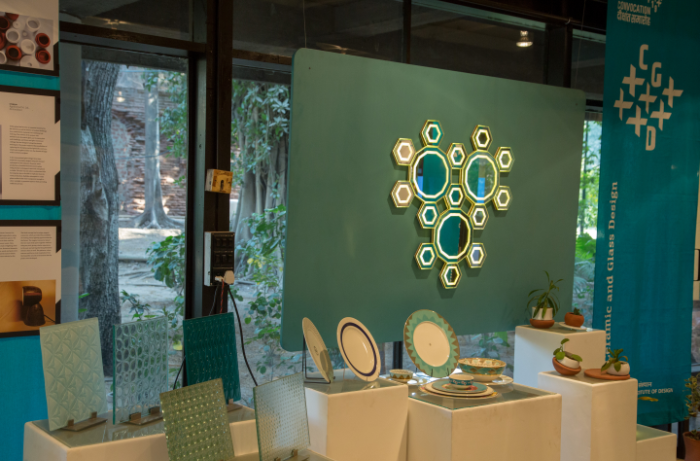 In addition, the exhibits represent multiple narratives which give a view of the evolution of the department and its value to the Indian ceramics and glass sector. It highlights contributions to a visual language and design approach through ceramic and glass over past 50 years, across, Industrial, MSME (Micro, Small & Medium Enterprises), studio set up’s supporting development of makers’ culture and traditional craft sector towards its sustenance. 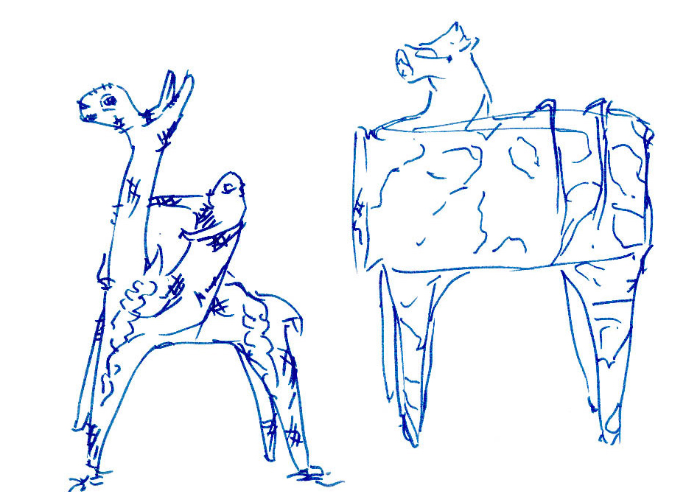 Having graduated in Fine Arts from M.S. University, Vadodara in 1995, Neelima enrolled into the Advanced Entry Programme at NID and specialised in Ceramic Design in 1998. She has been instrumental in shaping and intensifying glass-related inputs in the department which was an addition to the curriculum in the year 2003. Her varied interests in teaching include material and form, traditional crafts and culture, craft research and design, design for development, and material culture. With co-faculty, Shilpa Das, she organised a national seminar, Indian Crafts: the Future in a Globalizing World at NID in 2005, proceedings published in 2018. Neelima’s interest into crafts of India has taken her to the remotest part of the country; she has conducted several projects and workshops for terracotta artisans all over India, including, West Bengal, Madhya Pradesh, Manipur etc. Besides workshops she spearheaded the research team for documentation of Molela Votive Terracotta in Rajasthan to present it as Intangible Cultural Heritage to UNESCO. Having been sensitized to the concerns of the wider socio-economic and sustainability-oriented issues of crafts, aided her to develop the roadmap for craft and design institute to be setup for Uttarakhand state of India. 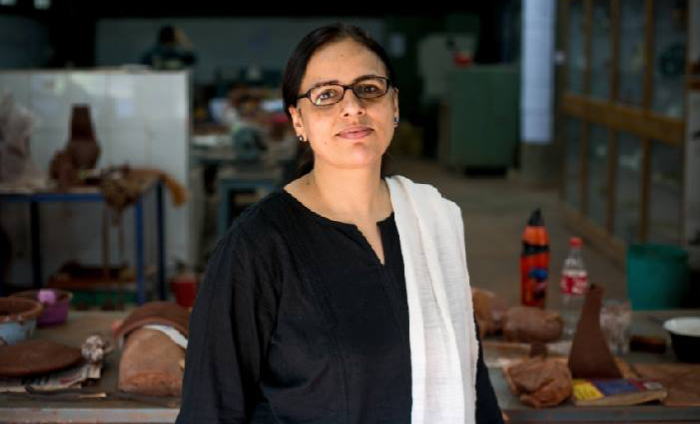 With her deeper understanding of the current status of glass industry in the country, Neelima appointed as a Principal Investigator for the Government of India’s Department of Science and Technology contributed to the artisans and glass maker’s community of Firozabad and bead and bangle making community of Purdilnagar. She is instrumental in bringing visibility towards the community and cluster through various activities been strategized around design intervention. At present, she is member senate of NID, Ahmedabad and in the position of Activity Chairperson leads the Industry and Online Programs (IOP), of NID. Tanishka Kachru is an Associate Senior Faculty in Communication Design at NID, Ahmedabad. Her practice includes curation and cultural communication produced from archives and living heritage. 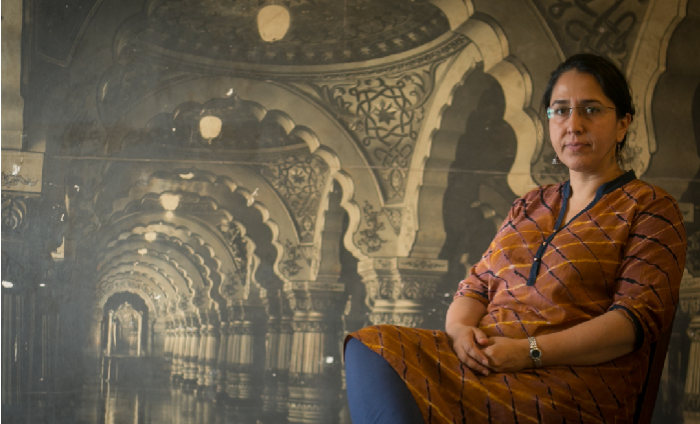 Tanishka's research interests are in the areas of design histories from postcolonial perspectives; digital heritage interpretation and discourses of heritage in smart cities. She has worked on documenting craftsmanship for nomination to UNESCO’s ICH list 2010; a proposal for a community museum housing the textile crafts of Banaskantha for SEWA 2012. Having a special interest in the craft heritage of Kashmir, she has worked on Pinjrakaariwoodwork 2011 and Papier-mâché 2016. 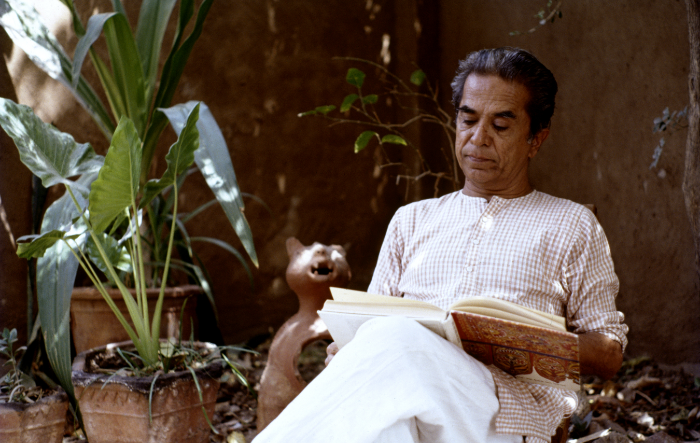 Tanishka curated the "Nakashima at NID" exhibition 2016, on the life and work of Japanese-American craftsman George Nakashima, and is co-editor of the accompanying exhibition catalogue. She has earned an MA in History of Design and the Decorative Arts from Parsons School of Design, New York 2001 and a Bachelor degree in Architecture from the University of Bombay 1997. Born in 1934 in Valod, Gujarat, Haku Shah was deeply influenced by Gandhian thought and practice throughout his life. Growing up close to Bardoli and Vedchhi Ashram, he spent time working in the Ashram after completing his BFA from MSU Baroda. Later in life, he was also involved with setting up the Tribal Museum in the Gujarat Vidyapeeth, Ahmedabad, a university founded by Gandhi in 1920 to set-up a system of education for Indians free from colonial influence. Hakubhai's training as an artist in the Faculty of Fine Arts at Baroda brought him in touch with teachers like K.G. Subramaniam and Sankho Chaudhary. After completing an MFA, like many of his contemporaries and teachers, he started working collaboratively with craftspeople, artisans and simply marginalised people with a capacity for self- expression. He practiced not only as an artist but was also well known for his scholarship and his curatorial practice. he is known for path-breaking exhibitions like 'Mati ye tere rup' (Form and Many Forms of Mother Clay) at Crafts Museum, Delhi and 'Unknown India' an exhibition at the Philadelphia Museum of Art in 1967 which he co-curated with art historian Stella Kramrisch who had taught at Santiniketan. Hakubhai joined the National Institute of Design (NID) in the early 1960's as part of a newly established Research cell and was part of producing the first books published by the institute on ethnography and craft, including Mata ni Pachedi (with Joan Erikson) and Rural Craftsmen and Their Work (with Dr. Eberhard Fischer) in 1970. His work and scholarship recognize that the value of the knowledge system of the traditional craftsmen is as valuable as the training of the modern designer and both should be given equal standing. This exhibition presents a selection of photographs, collected objects, field notes and drawings from Hakubhai's archive. 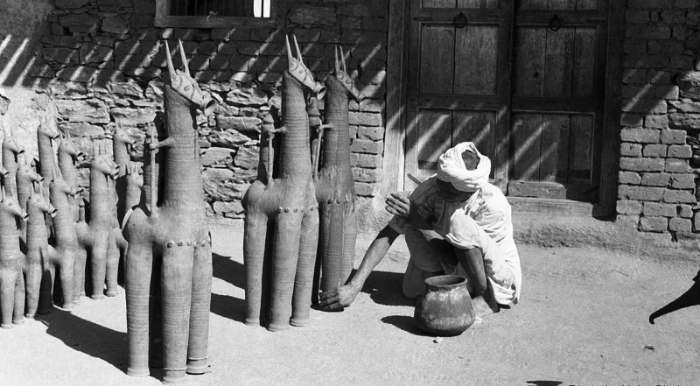 What the archive reveals to us is that while design existed in the English-speaking world of modernism, Hakubhai's modernity is a Gandhian modernity rooted to the villages, the indigenous languages, tribal life of joy and connection to the environment. This exhibition presents the work of the students graduated in the year 2019. 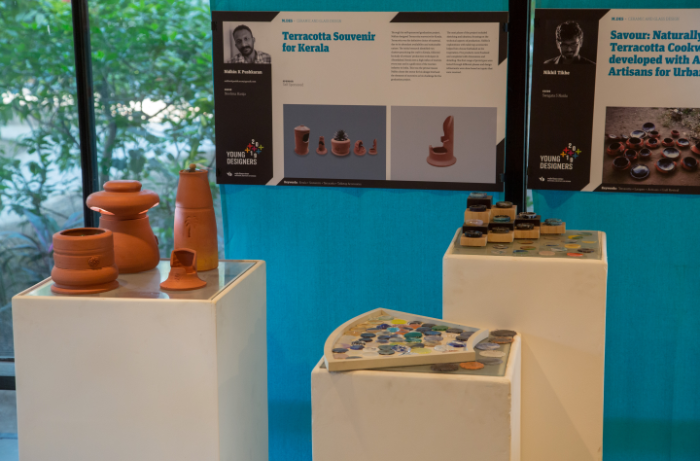 The exhibition provides a glimpse into the method and design approach been followed by the students through their individual client/self-sponsored design projects pursued during the concluding semester at NID; B.Des as well as M.Des in Ceramic and Glass. With a deeper understanding of design through the pedagogical framework and the rigour of design education invested by NID, these projects rooted in the real world provide an interesting view into the young designer’s approach towards a context. These projects are done in collaboration with industries, studios, craft-clusters and design firms. The exhibits represent the solutions, objects, products, designed by the students through their process of inquiring, exploring, seeking opportunities and providing an appropriate solution.